Ideal for wing shelters, these adjustable poles will work with any appropriately-sized shelter. Available in three sizes, the poles have a collapsible, aircraft-grade aluminum shaft that's light and easy to pack. The 2.4 m (8 ft) pole adjusts from 208-259 cm (82-102 in) to fit taller shelters. Ideal for wing shelters, these adjustable poles will work with any appropriately-sized shelter. 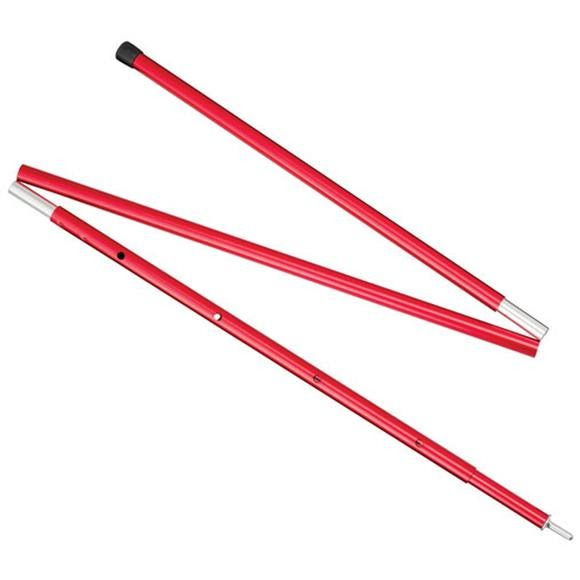 Available in three sizes, the poles have a collapsible, aircraft-grade aluminum shaft that&apos;s light and easy to pack. The 2.4 m (8 ft) pole adjusts from 208-259 cm (82-102 in) to fit taller shelters.